The government has for the first time added guidelines on the development of shrinking cities into a document outlining key urbanization tasks this year as the country experiences an unprecedented urban expansion. The shrinking small and medium cities should adjust their planning to control the rise of urban construction land and efficiently use the available land, guiding population and public resources to concentrate in urban areas, according to the document released on Monday by the National Development and Reform Commission, the country's top economic planner. A shrinking city usually means a dwindling population, emerging vacant spaces and the underuse of existing urban infrastructure, said researchers from both home and abroad. National Business Daily reported Wednesday that 22 Chinese cities experienced continuous dwindling population in three years, according to its statistics based on data from the Ministry of Housing and Urban-Rural Development. The data from the ministry covered the population of permanent residents in urban areas, population density and built-up areas in 666 cities between 2014 and 2017. 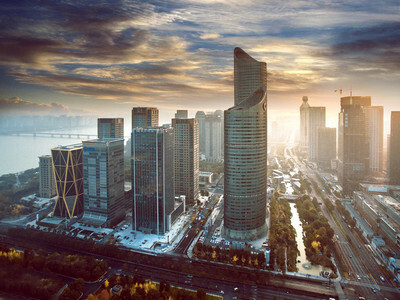 Sixteen shrinking cities are in Northeast China's Heilongjiang, Jilin and Liaoning provinces, according to the National Business Daily report. Most of the cities are resource-exhausted or old industrial bases, such as Jixi and Daqing. Some of the shrinking cities still have increasing built-up areas in recent years, which will lead to low efficiency in using the urban land and be not conducive to the compact development of cities, the report says. Ding Changfa, associate economic professor from the Xiamen University, said that small and medium cities suffered the shrinkage because they have weak industries and public services, difficult to attract talents to work and live there.